She's even smiling for the camera! Cute. Best dog picture I've seen in a while. She even smiles for pictures - what a good dog! I love your dog. So cute. The flowers are so pretty. :) This made my day...I'm sitting here doing my sociology homework and something told me to check my blog updates. 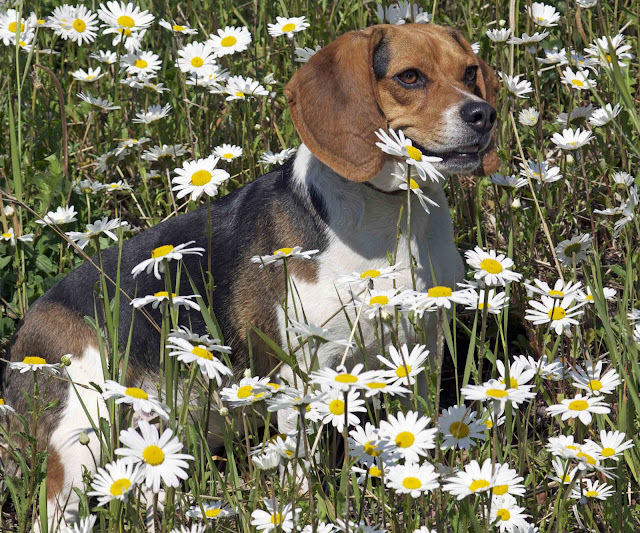 Lo and behold, it's Daisy sitting among the Daises!!!!! I'm glad you gave me something to smile about cuz sociology is a mood killer.